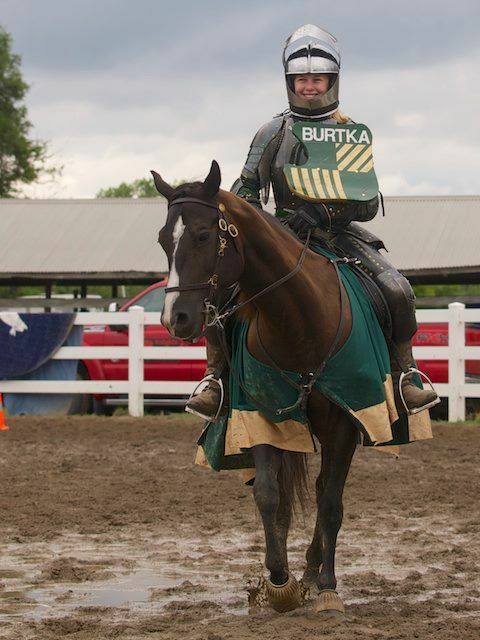 Despite rather nasty weather, The "Lysts on the Great Lakes" jousting tournament took place as scheduled August 10 – 11 in Belleville, Michigan as part of the 66th annual Wayne County Fair. Jordan Heron rode Sterling, a 16.2 hand Percheron cross gelding, to victory as the overall tournament champion. 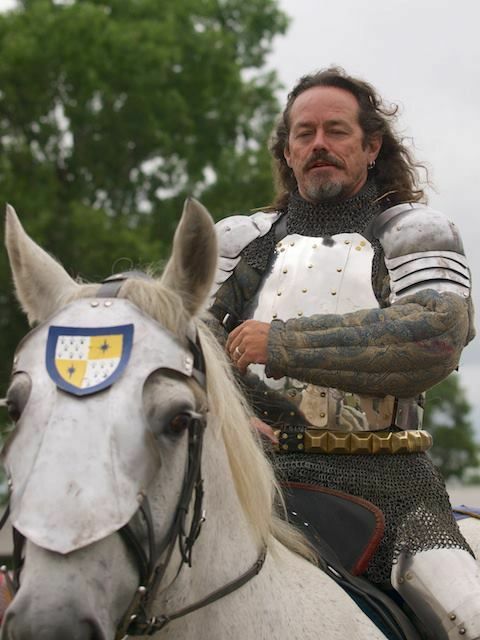 Charlie Andrews of the Knights of Mayhem earned second place overall, and Andre Renier of the Knights of Iron came in third overall. 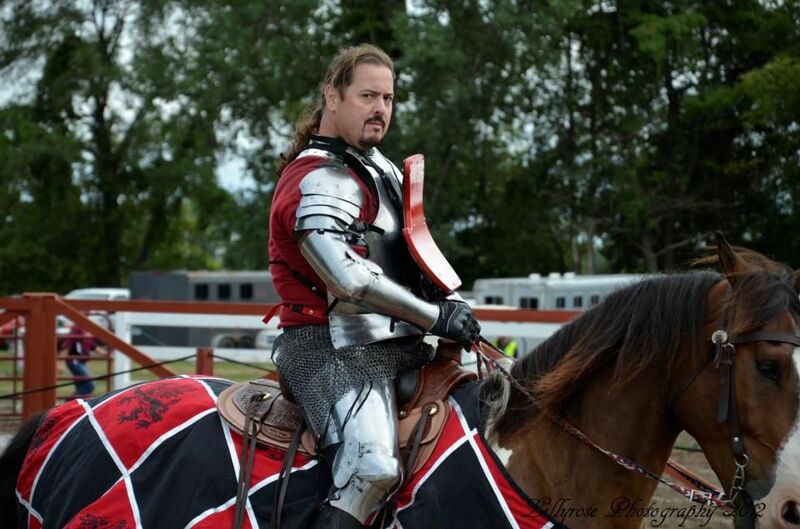 Unfortunately, L Dale Walter, the leader of the Knights of Iron – the hosts for this tournament – was injured when his horse Brenin slid in the mud and Dale was thrown into a nearby fence early on Friday. 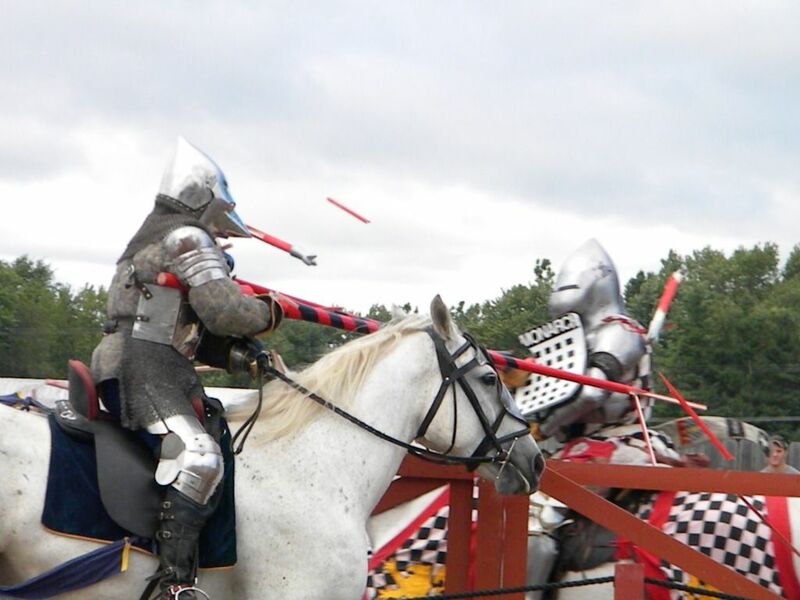 Brenin was not hurt and Dale will recover, but he was unable to continue jousting. However, Dale still played a big part in the tournament, assisting announcer Whitney Senn Rowlett by providing color commentary throughout the rest of the event. The tournament was originally going to be a team competition, but for various reasons became more of an individual competition with different winners for the different sections of the tournament. Andre Renier, on Riley, a 16.3 handTB/Percheron cross gelding, won the Mounted Skill at Arms(MSA) section of the tournament which was run as a series of individual games. He was also chosen as the winner of the Horsemanship award. Steve Hemphill won second place in the MSA and North Gienow (son of jouster Dale Gienow) came in third. Kellyn Burtka, who rode a 15 hand foundation quarter horse mare named Ashlyn, was chosen as the Most Chivalrous competitor. 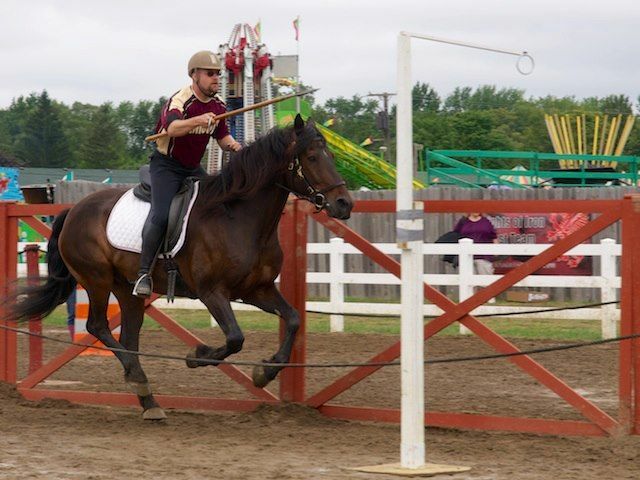 The jousting section of the competition was intense with Charlie Andrews, Steve Hemphill and Dale Gienow earning perfect scores on multiple passes on Friday, and Jordan Heron, Jason Monarch, and Andre Renier earning perfect scores during their passes on Saturday. 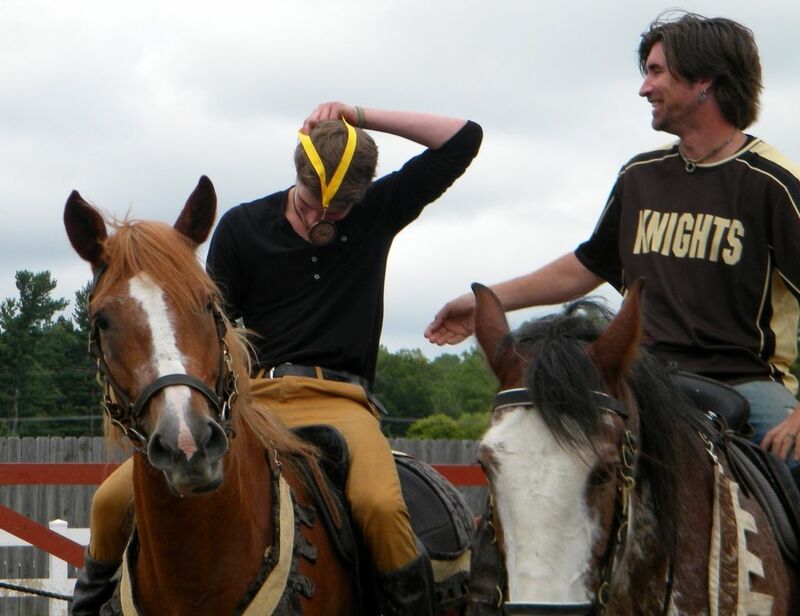 The winner of the jousting section of the tournament ended up being Jordan Heron, who also, as mentioned previously, won the overall tournament. 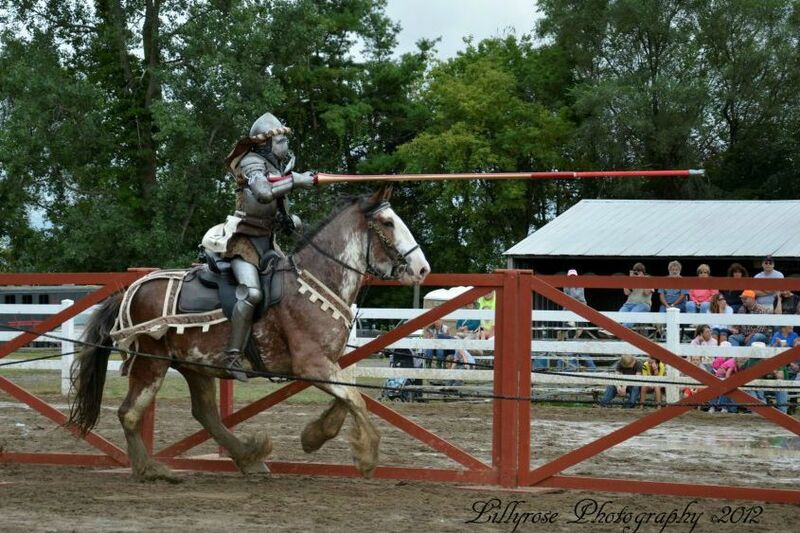 Charlie Andrews came in second in the jousting section of the tournament, and Steve Hemphill came in third. Many thanks to Suzanne DeMink and Tammie Graves for providing information and pictures for this article. 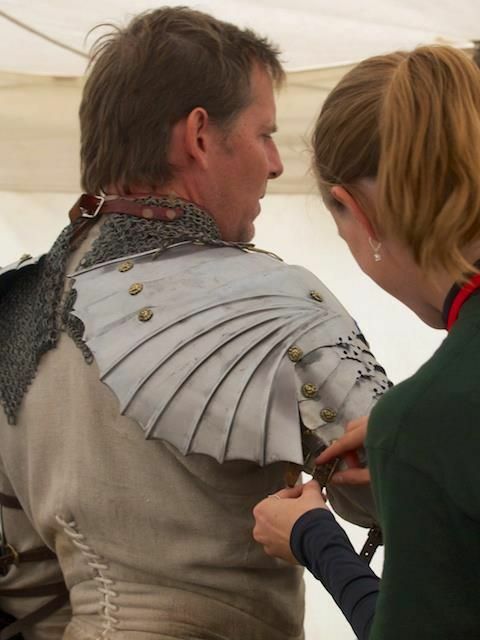 I loved that it was round robin.. getting to joust everyone is a great test and measurement of your skill that day ;) great crew to play with !